Christmas tree – The box your artificial tree came in seems like the most logical storage box, but repacking your tree in that box will seem like an impossible task. You’ll have to smash and bend all the branches in order to squeeze the tree back inside it. Also, the cardboard box can deteriorate if subjected to moisture and could also be prone to insect infestation. Instead of using the Christmas tree box, try a Christmas tree bag or a commercially available plastic Christmas tree storage box. Christmas lights – Get rid of the tangled mess of light strands you deal with every year. Dispose of any strands of lights that no longer work properly. 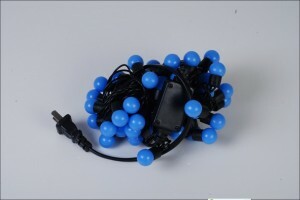 Then, roll each good strand of lights into a ball and place each ball in a separate plastic bag or empty coffee can. Another option is to wrap each strand of lights around an empty wrapping paper roll or a sturdy piece of cardboard. Then place all of the bags, cans or wrapping paper rolls together in a plastic storage container to prevent moisture damage. Decorations that you’ll have to reassemble next year – Before taking down decorations that you had to assemble, take pictures of them the way you set them up so you can remember how to do it next year. Then take everything down in the reverse order of the way you set it all up. Christmas candles – Wrap each candle in an old sock, tissue paper or a plastic shopping bag to prevent scratching. Be sure to store away from heat sources such as an attic where heat could melt the candles. Holiday wreaths – Most department and home stores sell Christmas wreath storage boxes of various sizes. However, boot boxes often work well for small and medium-sized wreaths. Just remember, whatever you use to store your wreaths must be able to maintain the shape of the wreath until next year. 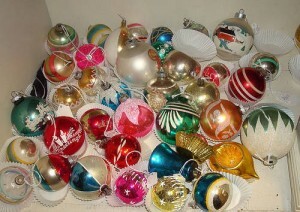 Christmas ornaments – Many ornaments come in individual boxes that work well for repacking and storage until next year. Try using other small boxes for homemade ornaments or wrap them in tissue paper and store in a larger box. For small ornaments, use an egg carton. Holiday linens – Store each Christmas linen in an individual Zip Lock bag if possible, and then put all of them in a plastic storage container together to prevent moisture damage. 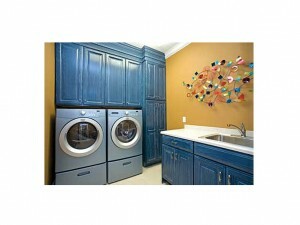 Or you might consider dedicating the top shelf of your linen closet to holiday linens, towels, blankets, pillows etc. Place a few dryer sheets in between your items to keep them smelling fresh until next year. With a little planning and effort, you can organize and store your holiday decorations in an efficient manner that will be easy to find and display next year. 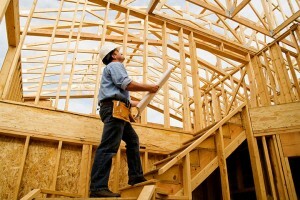 Building a new house is no easy task. From the professionals you hire to build your home to how you communicate your ideas to those involved in the home building process, many factors will determine how smoothly construction goes and the quality of the finished product, your home. These tips from The House Plan Shop will help you get started and carry you through construction resulting in a dream home you couldn’t be more proud of. Assemble a team of professionals. There are many people involved in the home building process, and it is important that you select professionals have a good reputation for home building whom you can work with and trust. Ask family and friends who have built for recommendations for contractors/builders. Interview them. Find out how long they’ve been in business. Check references. Ask to see proof of insurance and if they are bonded. Finally, ask if you can see their work at a jobsite they are working on currently. Do not settle for a builder who doesn’t communicate well with you or who has below-standard references. After you’ve hired a builder, team up with him/her and hire a panel of sub-contractors such as a concrete professional to pour the foundation, plumbers, electricians, etc. Your builder might already have a good relationship with a variety of subcontractors that he/she works with regularly. Find a mortgage lender you are comfortable with who has a strong knowledge and plenty of experience with new home construction. Hire a residential designer to draw your blueprints or make any changes to your pre-drawn stock house plans that you might require. Hire a local engineer who can review your blueprints and provide any engineering for your local building codes. As for the professionals that you don’t get to choose for your team but must be a part of it (i.e. city building inspector), be sure to establish a good relationship with them from the start. Choose a floor plan. When a couple is building a home, both parties may have certain requirements for their future home, and some may be more important than others. Each person should create a list of the most important features of the floor plan. Review each other’s lists together and decide on one list of the most important features. Create a new list for the top three to seven items that are important for the home. Be sure to consider the size of the home and the number of levels, the number of family members you must accommodate, any special spaces you need such as a guest suite for your live-in mother-in-law, and the activities that will happen in your home (do you prefer formal entertaining during the holidays or casual gatherings?) When you’ve determined the most important elements of the home find a pre-drawn floor plan that will accommodate your needs or hire a residential designer to draw a custom floor plan for you. Communicate thoughts clearly. When building a home it is necessary that you communicate clearly with your team of professionals and all other parties involved in the construction and finishing of your new home from the contractor to the person ordering custom drapes for the great room. Consider designating a point person for different aspects of the home-buying process so information is not delayed or communicated to just one or two of the people involved. You might even set up a special email address to keep all emails regarding the home building process in one place. You might specify that all sub-contractors contact the point person directly with estimated dates of completion for each professional’s work, etc. No matter whom you communicate with and not matter what the reason, be clear and concise, provide examples to illustrate your thoughts or ideas, and follow up with your building team to make sure everyone is on the same page from the start of construction until you close on your home. There are many other things you can do to ensure the building process will go smoothly from start to finish, but these handy tips will get you started. Now that the holidays have come and gone, it is time to start packing up those holiday decorations and get them ready to store for next year. Below are a few simple ideas to help you store holiday lights so you don’t find a tangled mess of light strands next holiday season. Cardboard Square – Cut a square of heavy duty cardboard. Cut a slit in one side of the square. Then, secure the end of a light strand by threading it through the slit. Wrap the strand of lights around the cardboard and thread the other end of the strand back through the slit. Plastic bags – Wrap each strand of lights in a ball and place each ball in an individual plastic bag (any type will do.) Then store all the bags together in a clearly labeled box. Empty Wrapping Paper Tube – Simply cut a slit in both ends of a wrapping paper tube. Secure one end of the strand of lights by threading it through the slit. Then wrap the lights along the tube. Thread the other end of the light strand through the slit at the opposite end of the tube. For more holiday ideas, check out our entire collection of holiday blogs. Choose a neutral color for the dining room walls such as Sherwin Williams’ Kilim Beige. Carry this color scheme through the room using another shade of beige for the upholstery of the dining room chairs and perhaps an area rug. In the adjoining living room, select a completely different color for the walls such as Sherwin Williams’ Baize Green or Surprise Amber. Then, accent the living room walls with draperies of beige similar to the wall color in the dining room. Add couple other beige accents in the living room like lampshades or throw pillows on the couch. Finally, finish off both rooms with dark wood furniture further uniting both spaces. 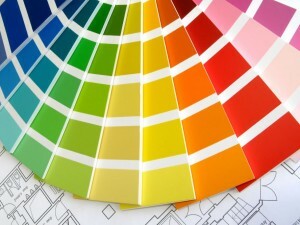 From more information about interior decorating, visit The House Plan Shop’s resource page.